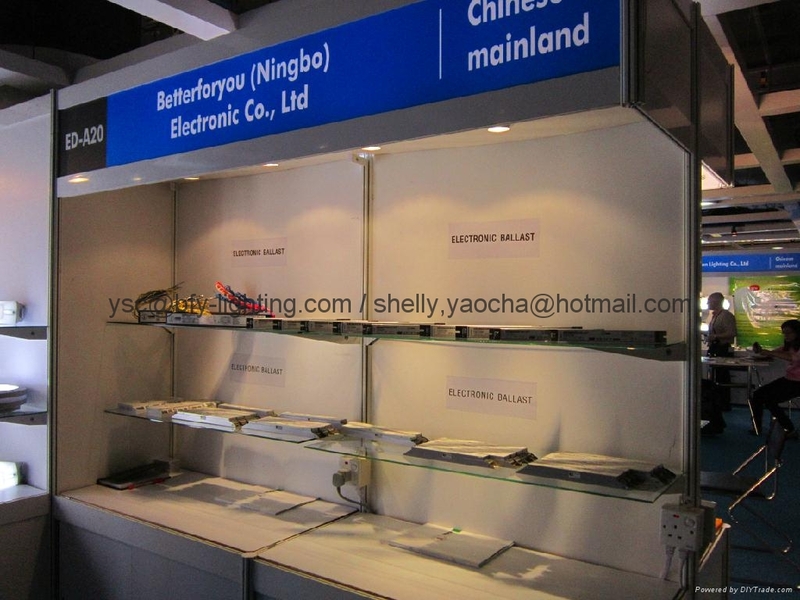 Specification "TJB-E124P 1x24W 220V-240V 0/50/60"
Specification "TJB-E224P 2x24W 220V-240V 0/50/60"
Betterforyou (Ningbo)electronic Co.,Ltd is the supplier & manufacturer of electronic ballasts,Tri-proof light,Damp-proof lamp etc. in China. 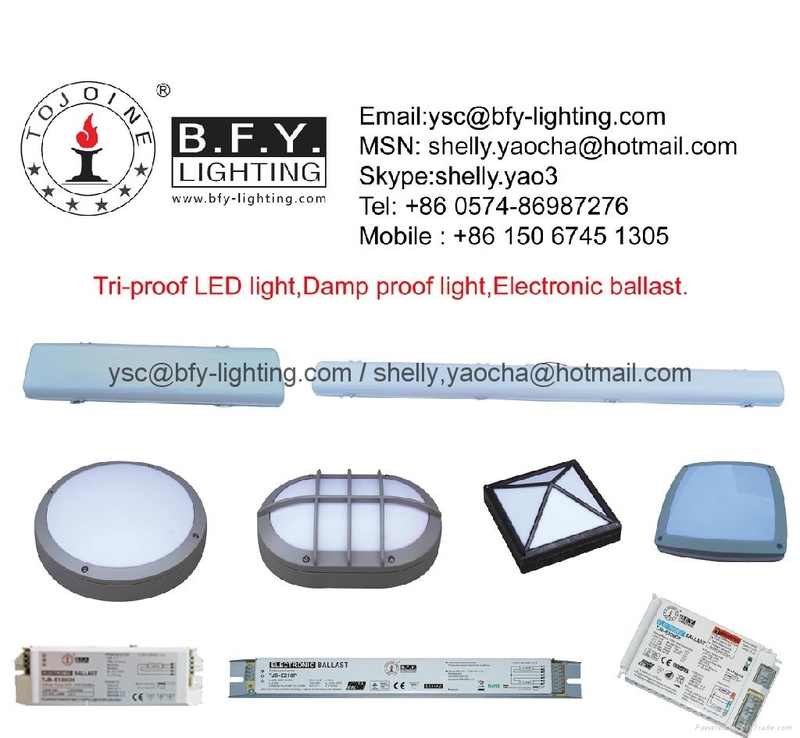 We have years of experience in this industry ,especially for electronic ballast for many type fluorescent lamps,HID lamps with different voltage,Brand is bfy(B.F.Y).